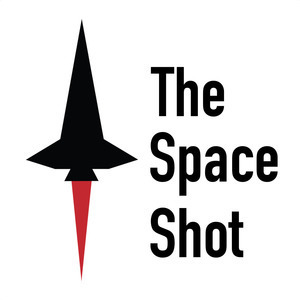 A concentrated dose of space awesomeness, delivered right to your podcast feed. We found 10 episodes of The Space Shot with the tag “history”. This week we chat with author, historian, and all around great guy, Rod Pyle about his latest book, "Space 2.0: How Private Spaceflight, a Resurgent NASA, and International Partners are Creating a New Space Age." I really enjoyed this conversation and I'm looking forward to having him on again in the future! Regular episodes are coming soon! I have been editing video, writing social media content for my day job, and generally staying completely busy. This has dug into my free time considerably so thank you for your patience and for listening to each episode. I've got some excellent news to share next episode so stay tuned. For now, enjoy the latest Cosmosphere Podcast episode! Tory Bruno, CEO of the United Launch Alliance stops by to talk STEM, education, history, and more on the latest edition of the Cosmosphere Podcast. Subscribe and never miss an episode! In today's episode we've got some news and links to history in this episode plus the latest Cosmosphere Podcast, enjoy! A happy June and Monday to all of you! Listen in to today's episode for more on the last Hubble Space Telescope Servicing Mission. Happy Friday! Episode 356: Roger, Liftoff, and the Clock Has Started! Happy Sunday! Here's part 2 of my speech, Storytelling in the Space Age. I will have links to what I talked about in the speech in tomorrow's show notes. Thanks to everyone that came out to the event, it's was a lot of fun and mildly terrifying because I'm used to speaking with all of you here on the podcast and not in a live setting in front of people. Happy Friday/Saturday. I experienced some issues uploading on Friday the 13th, go figure, but it's available now. Check it out! Apologies for how I sound today, my allergies are epically bad today. We've got some massive space history milestones, so check out today's episode!